Immerse yourself in the art of flash fiction writing in this live online virtual workshop with Kathryn Mockler, writer, professor, Publisher of The Rusty Toque and Canada Editor of Joyland: a hub for short fiction. We will read, discuss, and write flash, micro-fiction, and short short fiction. Open to writers of all experience levels. Note if you can't make this date or time, you can access a video of the event. Enrollment is limited so sign up now to secure your spot! Email Kathryn Mockler here to register. Flash fiction is also known as micro fiction or short short fiction. Typically, a story is considered to be flash fiction if it is under 500 words. Some say under 1000. How will this workshop be offered? This is a live, online workshop delivered through the video conferencing platform Zoom. What if I've never written fiction? This workshop has been created for all experience levels. No experience is necessary. What do I need to have on hand on the day of the workshop? I suggest that you have your favourite notebook and pen on hand as there will be several timed writing prompts. Some writers prefer to use their computer or tablet. That's fine too. What if I want to participate in the prompts but don't like sharing my work with the group? No one is ever forced to share their work with the group. I may ask for volunteers, but you will not be put on the spot or expected to share what you've written. Will we get feedback on our flash fiction pieces? This workshop focuses on generating writing through prompts and timed-writing exercises. If you are interested in feedback, visit my website to find out about my manuscript evaluation services or sign up for my newsletter to find out about the feedback-based courses that I offer. 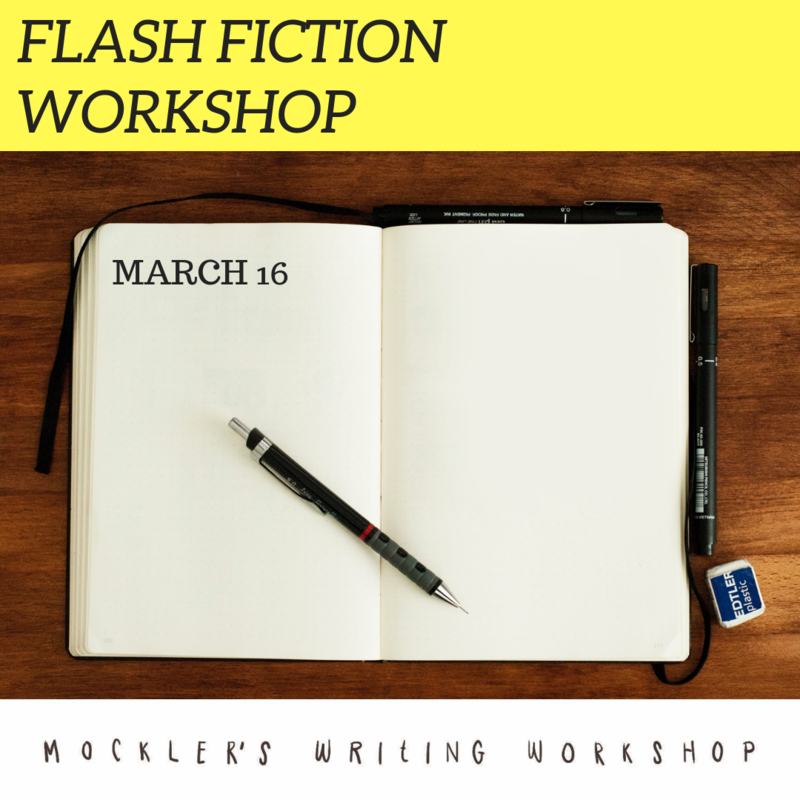 How much does the Flash Fiction Workshop cost? ​​"Great workshop—blowing out the cobwebs; discovering new tools." "Rekindled the wonder of words! Highly recommend." "This workshop offered a space where I could completely let my guard down. It gave me the courage to read my work to an audience/people I had never met before." "Thoughtful, well-planned exercises that make you leave with a whole pile of material that feels almost ready to go. It's so easy to enter into these exercises. This is really THE crash course in flash fiction."